The first installment of Winsor McCay's influential Little Nemo in Slumberland strip was published in the New York Herald on October 15, 1905. 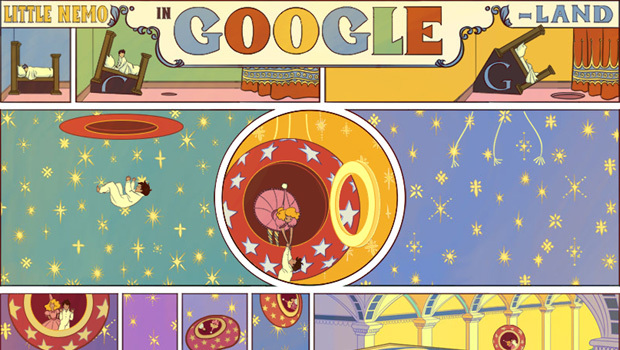 To celebrate the comic's 107th birthday, Google has created an interactive Doodle entitled "Little Nemo in Google-Land." Nemo meets the Princess some random chick (?) for a fanciful frolic through the letters that spell out "Google" before he tumbles from his bed back in the real world. Of course, I'm certain most of you were originally introduced to young Nemo through the NES game Little Nemo: The Dream Master. I bet you never even watched the movie it was based on -- you really should, especially since it's getting a Blu-ray release on November 6. Yay! We all have our own Nemo memories, so let's celebrate the best way we know how: videogames! If you don't own the original cartridge, I'll give you permission just this once to download the ROM. 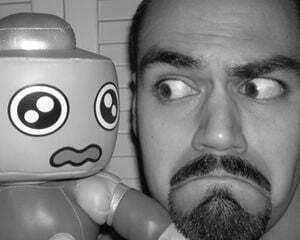 Might as well give brentalfloss' adorable "Little Nemo With Lyrics" another viewing too.